Take US 395 to Tom's Place. Exit at Tom's Place and follow Rock Creek Road to Mosquito Flat Trailhead. Mack Lake is the first lake in Little Lakes Valley (along the Morgan Pass trail). Sunrise turns cirrus clouds a soft orange above Mack Lake in Little Lakes Valley. 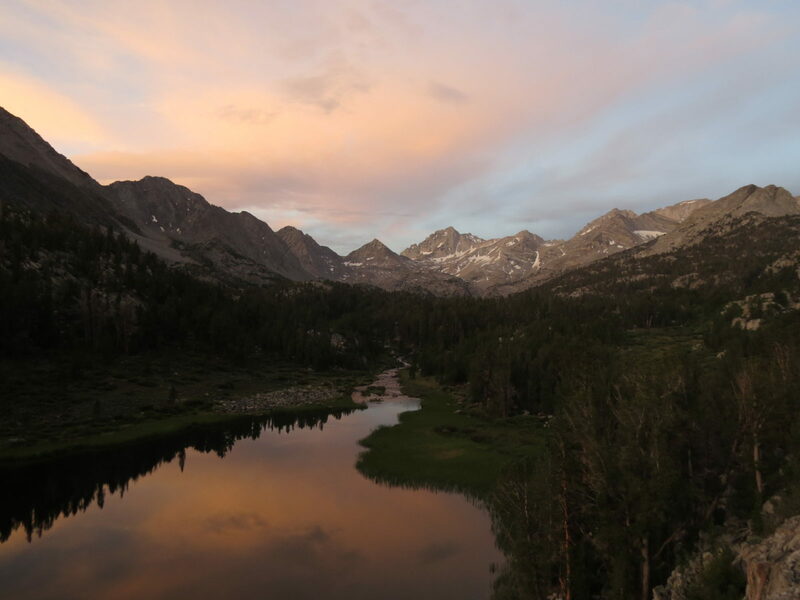 Little Lakes Valley is in the John Muir Wilderness and the Inyo National Forest, high in the Sierra Nevada Range of Central California. The peaks in the background include Bear Creek Spire (center), at over 13,000 feet.